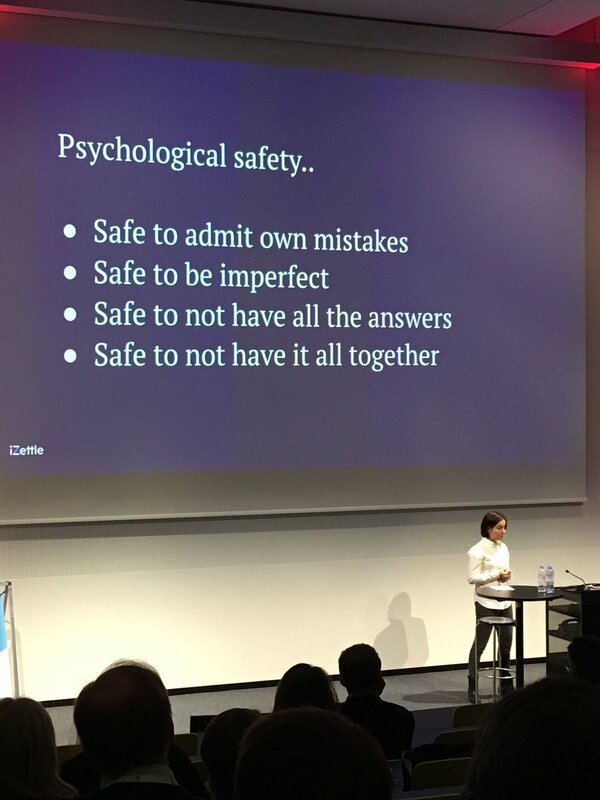 When I skimmed over the title originally, I assumed this was about safety as in security, but actually it’s psychological safety—much more interesting, I think! 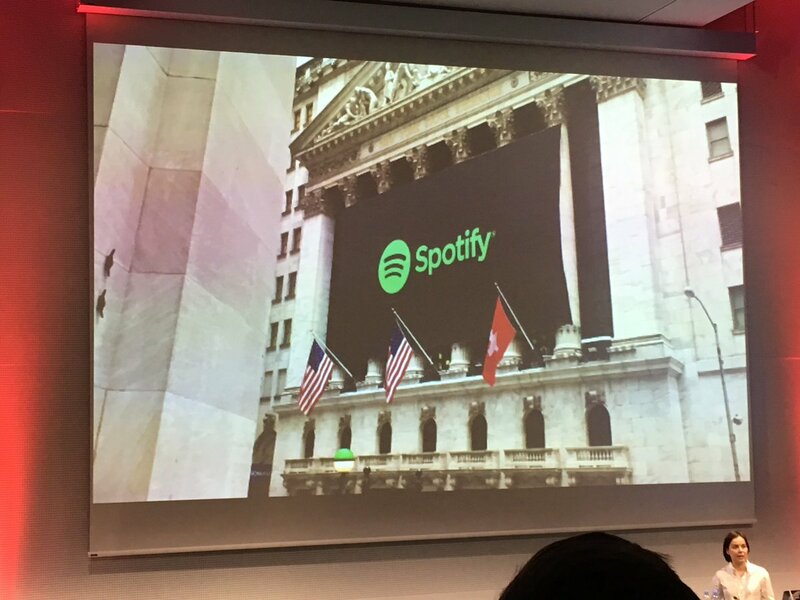 Looking for a story to link Switzerland with her country, Sweden, the first thing @nat_remez found was the NYSE hanging a Swiss flag to celebrate Swedish company Spotify. Great for a talk on mistakes! 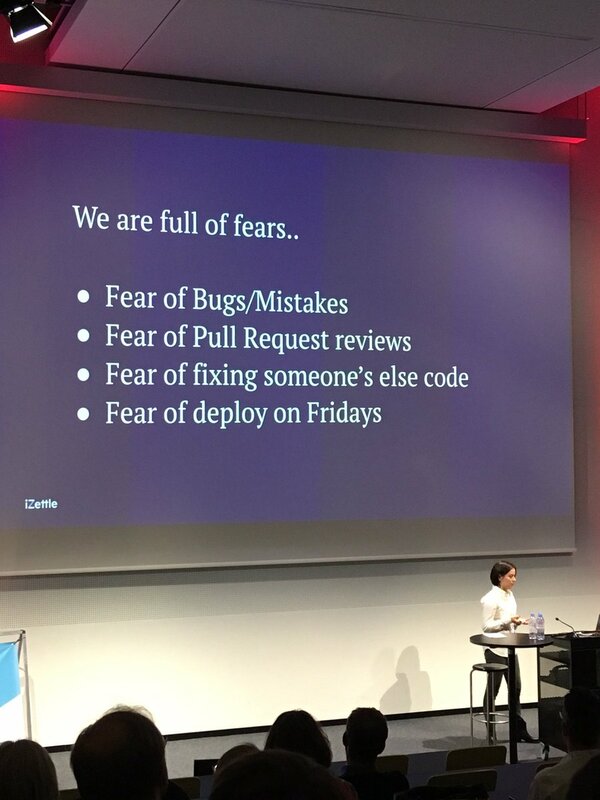 Q: what about fear of negative comments on pull requests? Q: how to combine root-cause analysis and blameless post-mortems safely? Surely you will always find someone who can be blamed? B: Then for you at the time it was 1/19th of a sprint. A: but my next sprint needs to be 30 points. 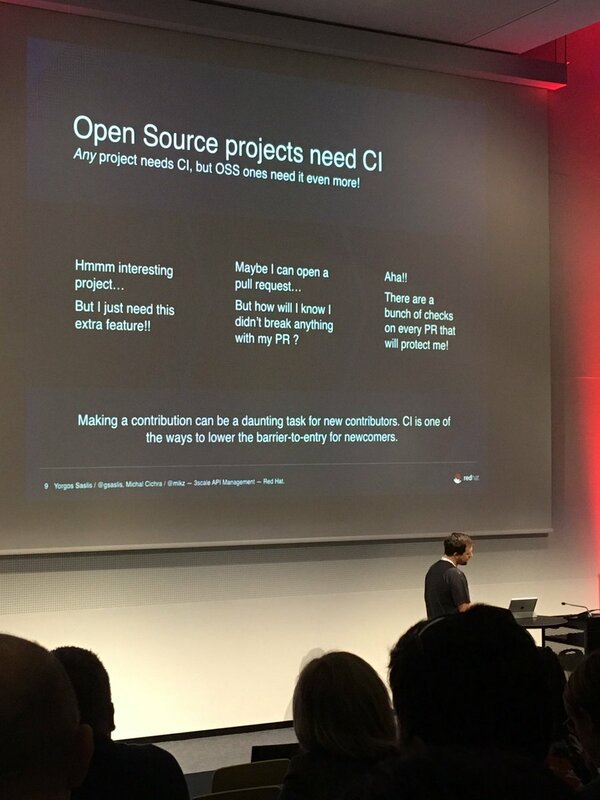 A: We need it to be. B: Then improve something significantly. 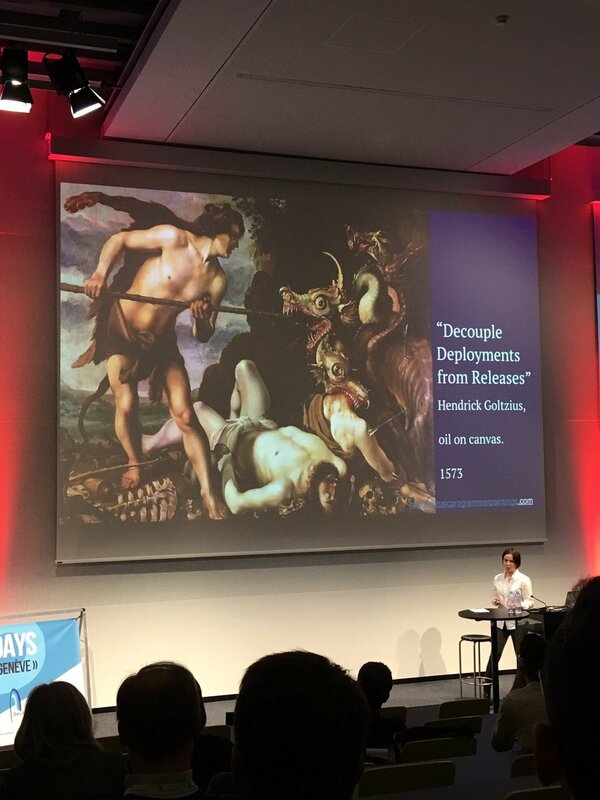 Almost every discussion I have that starts with “we need to go faster” ends with me asking the team to “define value”, and then do less once and work in smaller batches. This should be easy to unwind, right? It’s math. Do less smaller stuff = go faster. Limit WIP ... discover/remove bottlenecks.